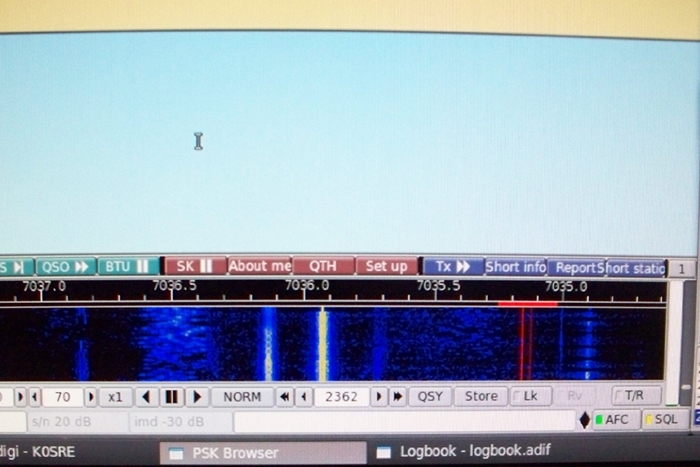 A ham finds more than a bit of fun using PSK31. I obtained my Technician class license in 2003 receiving the call KCØPLS. I put up my first homebrew antenna and began playing on 6 meters, VHF and UHF. I used repeaters, satellites, simplex, SSB, EchoLink and packet. This was fun, but the fun was wearing off. I knew I wanted to advance so I could try out more things. I upgraded to General and thought I would be able to try more bands and modes, and make contacts all over the world. I obtained an HF radio, put up an antenna, got some advice from some of the “more seasoned” hams I knew and I gave it a try. Since I live inside a city, I didn’t have a large yard to put up long-wire antennas or a big tower with beam antennas. I read up on antennas and gave a G5RV a try. I tried and tried but nearly all my contacts were in the US with maybe a Mexican contact thrown in. I wasn’t able to go up against all those “big guns” with their big towers and legal limit amplifiers that I heard talking all over the world. I changed my antenna to a Carolina Windom, but I quickly became discouraged. Then I got busy with the family duties and taking care of business at work. I didn’t try working HF much for quite a while. Then in the summer of 2009, I started to get into an experimental frame of mind. I had the misfortune of having my home computer damaged by lightning and had to rebuild my system. I started looking and found that I had compiled enough spare parts over the years to build a second computer. It wouldn’t be a computer to brag about but I thought I would give it a try. I put the parts together and decided to play with the operating system Ubuntu (Linux). This would be the start of my new quest for personal discoveries through experimentation, which sounds perfect for ham radio, right? As I was looking through a cabinet, my SignaLink USB sound card fell out and hit me on the foot. I had purchased the SignaLink a couple of years ago, but had put it away and forgotten about it. I had read an article online about the activities available while working with PSK31 and other digital modes, and how simple it was. This pain in my foot got me thinking that I might want to try the digital modes on my HF radio. It is sometimes amazing at how a pain in the foot gets your mind to whirling. I put my Ubuntu powered computer next to my radios and started exploring. 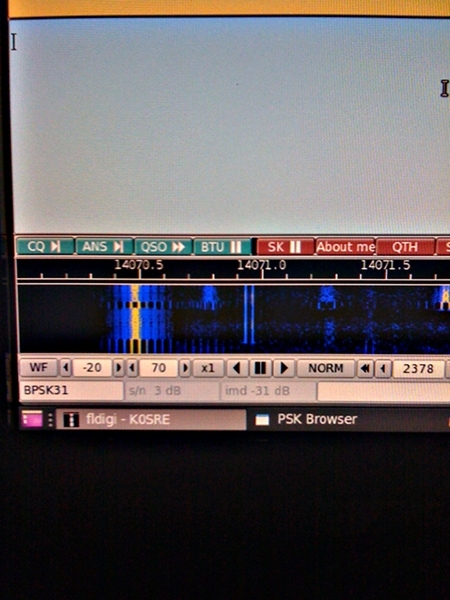 I found that there were software programs that would control my radio and let me have conversations on HF. The wonderful thing was that there were software programs written for Linux. I picked Fldigi as my program choice and built the cables I needed to connect my computer to the SignaLink interface and my Yaesu FT-897. Then I started experimenting. I followed the directions in setting the volumes of the sound card and the transmit power of my radio. I watched the conversations going on to learn how folks passed information. I took a deep breath and typed my first transmission with PSK31, calling "CQ CQ CQ DE KØSRE PSE K."
Suddenly, the world of HF opened up and I began to experience the joy and excitement of ham radio like I had never experienced before. In the course of 2 days, I easily made contact with folks in age from their teens to their 80s. I met folks who could type 30 WPM or 10. I made contacts in the US, Canada, Mexico, Venezuela, Cuba, Grenada and France, all on 30 W! I didn’t have a big tower with a beam antenna. I didn’t have a legal limit amplifier. I found that an amplifier could be a bad thing if you didn’t know how to control your signal while using the digital modes. During the course of my conversations, I found that many of the people I talked to hadn’t been on PSK31 for a very long time. I was complimented at times on the quality of the signal so some of them asked me for help experimenting. I told them how their signal looked as they adjusted their stations. I was asked what happened on my screen when they typed something on their computer. I found a group of people who were experimenting and enjoying their discoveries. I sat in awe at all of the conversations I saw taking place as I looked up and down the waterfall display. If you have gotten bored or discouraged with your inability to make worldwide contacts, then consider putting in a little time and give PSK31 a chance. It works with all kinds of computers and different operating systems. It works with homebrew interfaces or interfaces you can purchase. Like nearly everything in ham radio, it’s what you want to put into it. 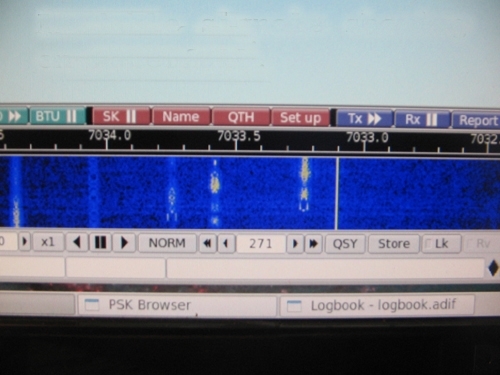 It gives a small station just as much of a chance to make worldwide contacts as the big guns on SSB. If you decide to give it a try, I hope to have a chance to contact you. Set up your station, make some contacts, get comfortable with the mode and perhaps enjoy a little contesting or you can just have fun. They say you put a new wrinkle in the gray matter of your brain every time you learn something new. I just felt my head and I think there is a new bump showing that wasn’t there before. Photos by Steve Eden, KØSRE. Steve Eden, KØSRE, an ARRL member, has lived in Camdenton, Missouri at the beautiful Lake of the Ozarks since 1986 where he works in emergency services. His interest in Amateur Radio was started by his good friend Glenn, WØGDF, and he has been in Amateur Radio since 2003 currently holding a General class license. 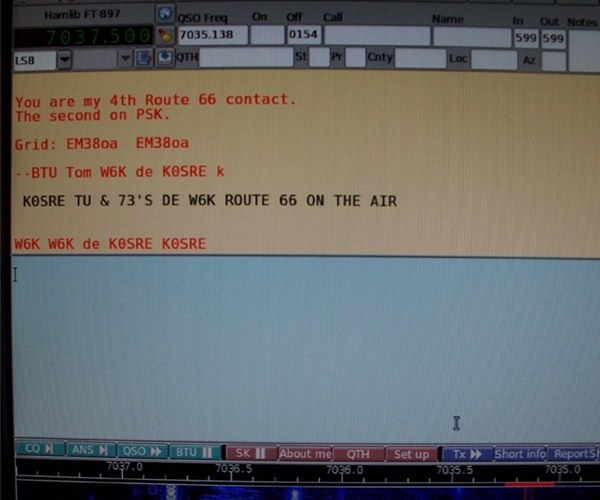 Steve’s spouse, Stacy, is also a licensed amateur with the call sign WØSRE. Steve is currently employed as a Sergeant with the Camden County Missouri Sheriff’s Office in charge of the E 9-1-1/Communications Division. He is also the Fire Chief for the Camdenton Fire Department and serves on the State of Missouri Region F Tactical Interoperability Communications Planning Committee. Steve can be reached at PO Box 3603, Camdenton, MO 65020.